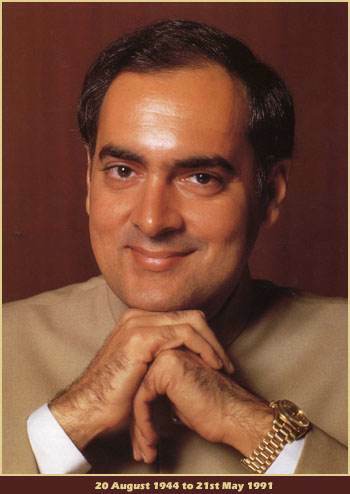 Rajiv Gandhi - Former Prime Minister of India. The son of former Prime Minister Indira Gandhi. He was the youngest Prime Minister of India. He was not just an Leader of Opposition in the parliament in the election 1991, The people elected him as the next Prime minister in their mind. But � before they mark it in ballot - the terrorism � the evil thing India has suffering for years � killed him. He was the only hope of the people of India then. But India exists � the blood of Her brave sons powered Her.